In 2010, the U.S. federal government spent $15 billion on the War on Drugs. While battling dangerous illegal drugs is important for public safety, the circumstances surrounding drug arrests are often more complicated than “guilty” or “not guilty.” If you are accused of a drug-related offense, it’s important that you have a skilled drug attorney near Denver represent your interests in court. Mastro, Barnes & Stazzone, P.C. is a Denver criminal defense law firm that has been defending people against overblown drug charges for over 35 years. On October 1, 2013, Colorado amended previous drug sentencing penalties and lessened these penalties. For felony drug offenses, there are four levels of drug felonies- DF1, DF2, DF3, and DF4. The attorneys at Mastro Barnes & Stazzone, PC are experienced in representing clients accused of drug felonies in Colorado. 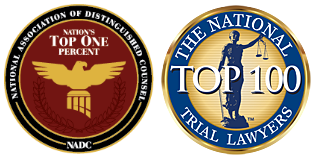 When chosing an attorney to represent you on a felony drug case, consider Mastro, Barnes & Stazzone, PC for aggressive, experienced representation. Like all other states, Colorado classifies controlled dangerous substances under various schedules. Schedule I drugs are the most dangerous drugs, and tend to be the most addictive. LSD, heroin, and mescaline are all examples of Schedule I substances. The drug classifications go all the way down to Schedule V substances, which are the least dangerous and carry a low risk of dependency. Still, Codeine and other Schedule V substances are considered illegal. Punishments vary based on the classification of the substance involved with the incident and the nature of the incident itself. For instance, possessing a small amount of an illegal substance carries a much smaller sentence than trafficking or selling a large amount of that same drug. Misdemeanors: Minor drug offenses are often treated as misdemeanors. A misdemeanor possession conviction may be punishable by a small fine at the least or several months in jail at the most. Felonies: Possessing a large amount of an illegal drug or trafficking across state lines is much more serious, and a conviction may result in at least one year in prison. Convicted felons forfeit their right to vote and own firearms. You don’t have to face your drug charges alone. Hiring a skilled drug offense lawyer can make a huge difference in the outcome of your case. Protect Your Rights: There are a number of ways in which your rights can be violated during your arrest or during the trial process. A lawyer can ensure that your rights are left intact. Reduce Your Sentence: A lawyer can negotiate a plea deal that drastically reduces your sentence. If you’re completely innocent, hiring a lawyer can increase your chances of acquittal.